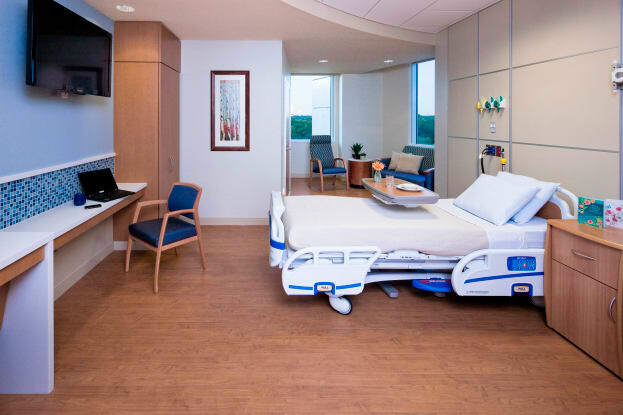 The Labor and Delivery Unit located on the top floor of the Dahod Building at Lowell General Hospital’s main campus was built in 2012 to provide laboring moms a soothing, gracious environment. 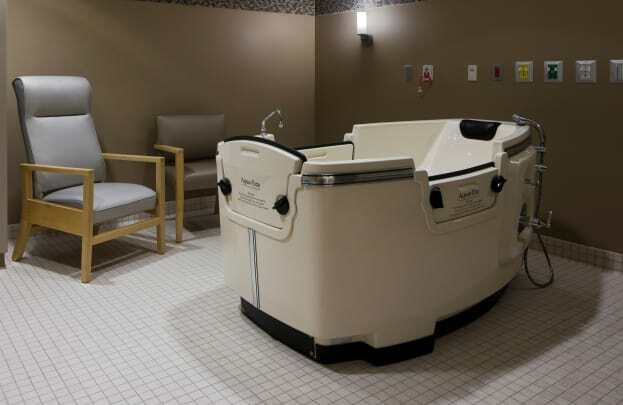 A few hours after delivery, you and your new baby will go to the Mother and Infant Unit. Here, each private room is comfortably designed with features including a pull-out bed for a support person to spend the night, and a flat screen TV with internet access and helpful educational videos for new parents. The unit also includes a separate lounge for visiting family and friends and a refreshment center. Read Stephanie and Matt Dineen's story. As we promote family centered care, we encourage you to keep your infant in your room with you during your hospital stay. We offer 24 hour rooming in to promote bonding, and our nursing staff plan care for you and your baby so that you do not have to be separated. 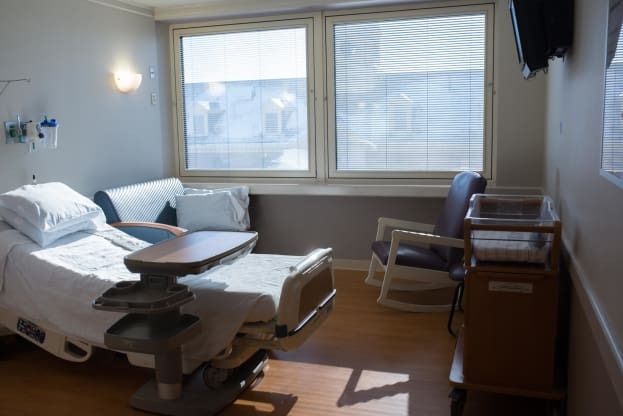 The Mother and Infant Unit also has a nursery, and if your baby goes there for any reason, your identification bands will be matched upon return to your room. A security device will also be placed on your infant’s ankle, allowing us to track where the baby is at all times. Lactation consultants are on staff seven days a week, meeting with all breastfeeding moms. If you have questions or concerns about breastfeeding after discharge, you are welcome to call the support line to talk with a staff member or schedule an outpatient visit. We offer a drop-in new moms support groups every Tuesday from 10am until 12 noon, run by a lactation consultant. All moms and babies are welcome to join regardless of feeding preferences.